Last summer we partnered with Whole Foods Market to talk about some of their delicious bacon! Not only did we review products, but we also created several recipes for them! This summer, we are doing things a bit differently. Instead of bacon, we are focusing on burgers! We will be sharing 5 recipes featuring various types of burgers that can be purchased at Whole Foods Market. 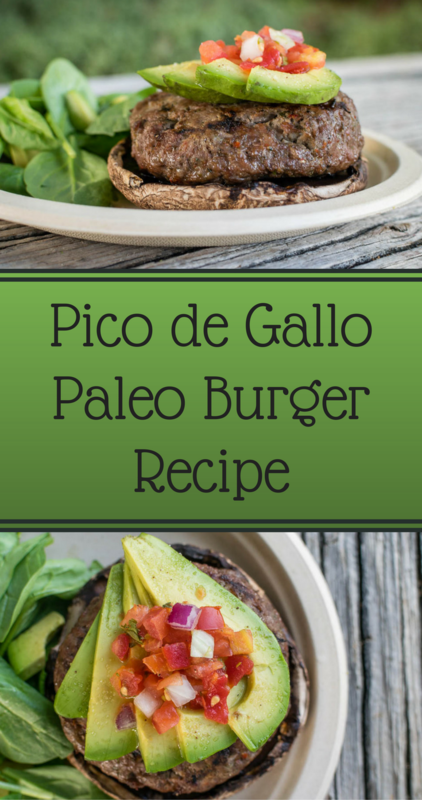 First up is our Pico de Gallo Paleo Burger! For those who are unaware, the Paleo Diet is based mainly on foods presumed to have been available to Paleolithic humans. However, the diet typically includes vegetables, fruits, nuts, roots, and meat while excluding foods such as dairy products, grains, sugar, legumes, processed oils, salt, and alcohol or coffee. The Paleo Diet has become quite popular. Therefore, we decided that our first recipe should be Paleo friendly. First and foremost, we aimed to make this recipe easy. When we host parties, we like to make sure that any diet can be accomodated. This recipe allows for that with minimal extra effort. 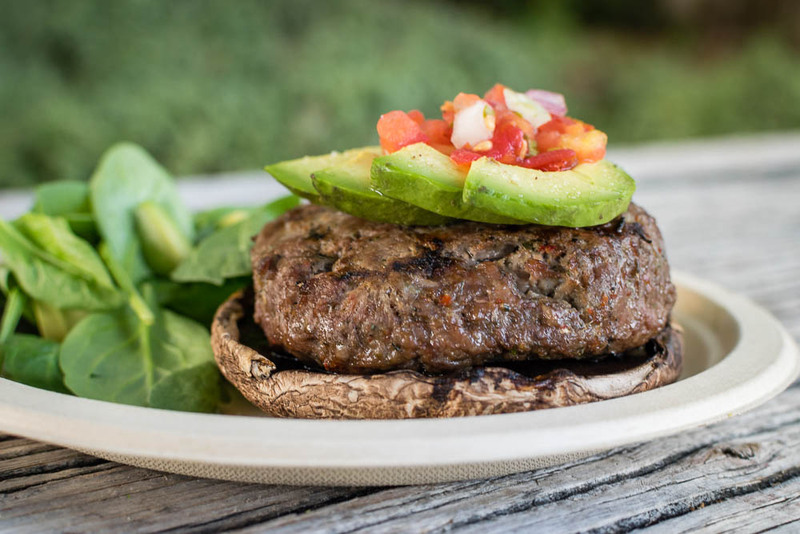 Our Pico de Gallo Paleo Burger features one of Whole Foods’ premade burgers, the Ultimate Burger. The burger is pre-seasoned and has onion, green onion, and bell pepper in it. Instead of a bun we used a grilled portobello mushroom and served it open faced. We used pico de gallo to top it as it is an ingredient you’d likely already have for chips. Be sure to check back tomorrow! The next burger on the line-up is our Goat Cheese Montreal Burger! You won’t want to miss it! What are some of your favorite burgers? We’d love to know! Leave a comment below or use the hashtag #GeekEats! Meanwhile, grill portobello mushrooms until tender. About 3-5 minutes. Serve burger on mushroom cap. 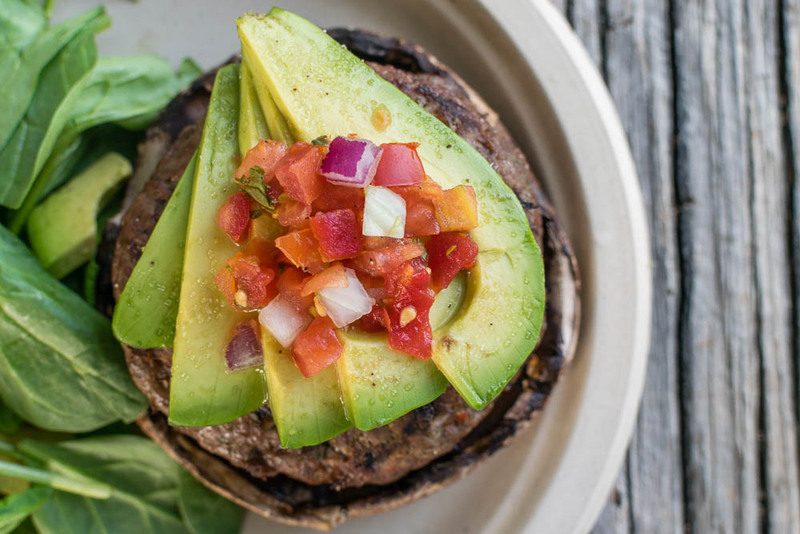 Top each burger with 1/4 of avocado and 2 tbsp of pico de gallo.